Here’s what’s coming up in February next year, for those of you who buy comic books. For those of you who don’t, I guess you can skip this one. Due to technical difficulties, I was unable to get the December Previews list out before December, so there is a short hiatus in the archives. However, since there was a year and a half hiatus just before and nobody complained, I'm guessing I'm not going to catch much flak. 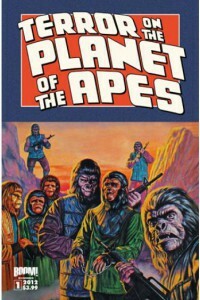 From 1974 to 1977, Marvel Comics (through their Curtis Magazine imprint) published a black & white tie-in comic for the Planet of the Apes movie and TV series. It featured not only adaptations of the five original movies, but also new adventures as well as background stories on the creation of the films. [Full disclosure: Your ever-lovin' ed-otter grabbed every issue he could get a hold of!] Many of the stories were written by Moonknight co-creator Doug Moench (as well as Gerry Conway) and illustrated by Ghost Rider co-creator Mike Ploog (as well as Mike Esposito and George Tuska). Now, BOOM! 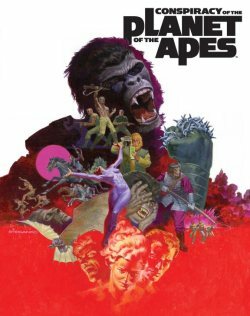 Studios have secured the rights to re-publish those 1970′s classics under the title Terror on the Planet of the Apes, coming this February. 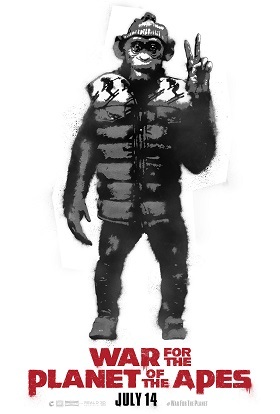 Rise of the Planet of the Apes hits theaters in the U.S. and Canada on August 5, rejuvenating the earlier series. 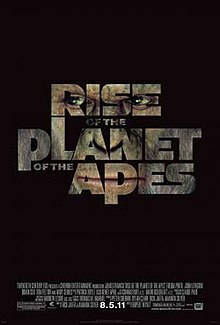 The plot centers around James Franco as Will Rodman, a scientist developing a cure for Alzheimer's by running tests on apes. The first test subject, a chimpanzee named Caesar, is genetically modified by the cure into a new breed — one gifted with greater sentience. While Caesar's cognitive abilities grow to surpass his human counterparts, he is still viewed by most as an animal, and is treated like Rodman's pet. 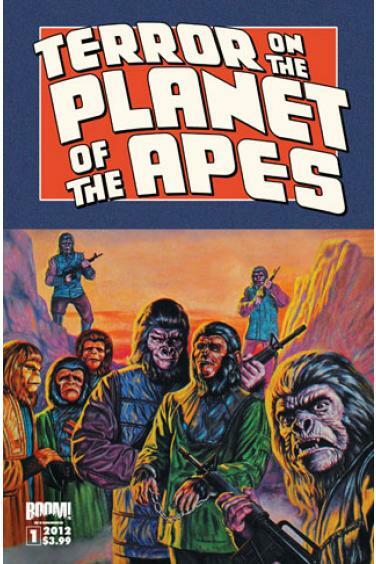 In retaliation, Caesar spreads the cure to millions of other apes, who rally to plot a revolution. Rodman must stop the war before apes overthrow man as top of the food chain. To me, I can think of all sorts of sequels to this film, but this is just the beginning. This movie is no mere remake of the older series, but a new conceptualization of the same idea. Special effects in film-making have also made immense progress since the originals; instead of plastic-looking men and women with prosthetic make-up plastered to their face, the viewer will be able to experience more aesthetically-pleasing and realistic CGI effects.